Today I confess and confront my BIG, FAT publishing hypocrisy. Q. If print insurance newsletters work so well, Jim, why do you fulfill prospect sample requests with PDFs instead of actual print newsletters? I used to answer this question by saying our newsletters are formatted the same way in PDFs as they are in print. The flaw in that response is that a PDF does not have the tactile, intellectual or emotional impact of print insurance newsletters. Getting a PRINT newsletter in the mail is an entirely different experience than getting a PDF attachment to an email! Which is kinda the whole point…. The point of a PRINT newsletter isn’t about how it’s displayed on a computer. It’s about how you react when you get it in your hands. How it arrives in the mail. How you open the envelope that contains it. How you take it out. How you engage with it as a tangible thing. How you browse it. Skim the headlines. Or maybe even read it (it happens 🙂 ). How you at least read the nameplate and recognize the name of the insurance agency that sent it to you. Even after quickly looking at it, what do you do with it? Do you put it aside to read more later? Do you underline something in it before you save it? Maybe you’ve been meaning to call the agency and their phone number is in the masthead, so you circle it as a reminder. Do you pass it along to someone else? Do you throw it away? How? Do you put it in the trash? Or the recycling? It’s a completely different experience than clicking on a PDF icon attached to your email. You open the PDF with a click and there it is just like any other kind of digital content on a computer or mobile device. A print newsletter is not constrained by its visual dimension though. It’s three dimensional. It has to be physically delivered to you, which impacts you, the reader more vividly. Q. Aren’t you being a little hard on yourself to make a point? It’s the same content regardless of how it’s delivered. A. Yes, the same content. But you’re missing the point. The medium is the message. Remember that canard? Well, it’s true. PDF or PRINT, it’s the same content. But it’s not perceived the same way, is what I’m trying to say. People react differently to PRINT than digital content. And when I say digital I mean not just PDFs but email, too. This is not just quantifiable. Like the HUGE difference in open rates between email and PRINT, which is 5X more for PRINT. It’s about the emotional engagement you get with PRINT. Q. So content doesn’t matter, you’re saying? A. Of course it matters. Though to be honest, content is not as important a factor with PRINT as it is with digital. What if someone who gets your PRINT newsletter never reads it? They just open the envelope, see your agency name and branding and throw it away. Theoretically, your newsletter content could be pure garbage, nothing but spaghetti and meatball recipes and knock-knock jokes. That person has only seen your branding. What they briefly held in their hands had the physical characteristics of an insurance newsletter. And for that particular reader, it was sufficient. At least they know you make the effort to reach out to them and you do it consistently. That inspires a certain level of trust. If you were sending that same person an email newsletter, they probably wouldn’t even know it. Because if they haven’t already marked anything they get from you as junk or unsubscribed from it, they’re clicking delete as soon as they see the subject line. Zip impact. Of course, I’m not saying your newsletter should be crap. Obviously it’s got to be relevant, interesting and well-written. Many people will read it. In fact, many more people will read it simply because you made it so easy for them to do so by providing it to them in PRINT. Q. Okay, so what are you going to do to make up for being so clueless? A. So, we’ve made some changes. If you go to the Smarts Publishing website now and request samples, your full address will be requested because you will now get the print insurance newsletters samples of your choice MAILED to you. PLUS, if you provide you logo, we’ll create a nameplate for you and include that in your sample newsletter, so you can see what your actual PRINT newsletter will look like when you place your order. A. Yes, we are no longer offering email as a standalone newsletter solution. We just feel we’re doing potential clients a disservice to offer them a product that will not get best results. Email marketing is a great tool that insurance agents should be using, but newsletters are not the best way to optimize its impact. PRINT is the best way to optimize newsletters. Even though you must purchase a print newsletter now to get it, we do offer a FREE email version of your newsletter if you want it, when you order at least 100 print newsletters. All customers get a word file of their newsletter for posting to social media and elsewhere. Q. Where do I get my FREE samples? You can request sample print insurance newsletters and an order form when you: Click here. INSURANCE NEWSLETTERS — ESPECIALLY PRINT NEWSLETTERS — SHOULD BE IN EVERY AGENT’S MARKETING TOOLKIT. Insurance newsletters, in my humble opinion, are as critical to a successful insurance agency marketing strategy as EGGS to an OMELET. Why are newsletters so effective? 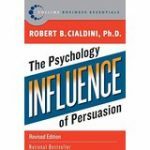 For one thing, they align with almost every influence trigger identified in Robert Cialdini’s book Influence: The Psychology of Persuasion, Revised Edition . You need to satisfy those pain points before they are even READY to do business with you — let alone BUY from you. 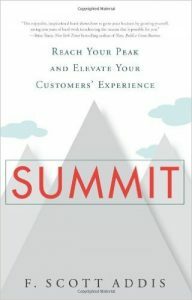 Sean D’Souza, author of The Brain Audit: Why Customers Buy (and Why They Don’t) , says there are seven psychological barriers to remove before someone will buy from you. He compares getting past those psychological barriers to an airline passenger getting his baggage from the carousel. If the passenger cannot get all the bags, he waits. What baggage is holding back your business? How can you improve your prospect CONVERSION rate and your client RETENTION rate ? Here are 17 ways INSURANCE NEWSLETTERS, especially PRINT NEWSLETTERS, can help you remove the psychological and other barriers that are preventing your business from growing faster. “We are trained from birth that obedience to proper AUTHORITY is right,” says Cialdini. People seek AUTHORITY for comfort and often to avoid making decisions themselves about things they don’t feel well informed enough about.If the content of your agency newsletter is professional, informative, well-written and easy to understand, it will project AUTHORITY. People like knowing people they can trust. Even when someone gives you something of value without any obligation to reciprocate, the reality is that you still feel some sense of obligation.The reason PRINT and not email newsletters create RECIPROCITY is because emails have no perceived value per se. People get 100s of emails every day. Whether that email is a newsletter or not makes no difference. People know it costs next to nothing to send email newsletters.With PRINT the recipient knows you paid for printing and postage. While the vast majority of agents would have just sent an email, the PRINT recipient feels you value the relationship enough to provide something more valuable. Insurance Newsletters show COMMITMENT and CONSISTENCY. When you send newsletters at regular intervals, you prove CONSISTENCY and COMMITMENT to a schedule. This satisfies a real need people have. COMMITMENT and CONSISTENCY are especially important to insurance buyers because they rely on their agent to protect their family and assets. Two more psychological factors important to persuasion, according to Cialdini’s book. Insurance newsletters facilitate the Strategy of Preeminence philosophy of serving the best interests of your clients. The Strategy of Preeminence is a powerful yet simple strategy that almost single-handedly can transform your business or career. It makes people enthusiastic to do business with you instead of your competitors. It will give you an uncanny insight into what people want, and why they act and react in various ways. It will turn clients into, literally, friends for life. and it will strengthen your passion and connection to everyone with whom you associate. The strategy of preeminence makes you the fiduciary of your client. If you really care about your clients, part of your commitment to them is to provide information that helps them live a better life and run a more successful business. Newsletters are the perfect tool for this. Insurance Newsletters educate insurance buyers. Unfortunately, we tend to overestimate how well people understand insurance. Too often, they don’t even know what they don’t know. 37% of 18- to 29-year olds think car insurance doesn’t pay if the driver causes the loss. 44% think a red car costs more to insure than a white car. Insurance Newsletters reduce agent E&O. The more clients understand the products they buy and become aware of the products available to them, the less likely they are to file claims against you if a claim isn’t covered or fully paid. Insurance Newsletters build awareness with people who don’t know you yet, like prospects. 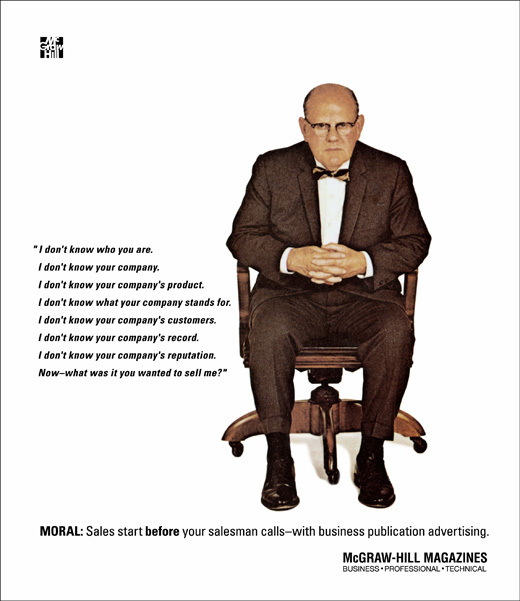 Nothing makes the point better than this famous ad by McGraw-Hill that first ran nearly 60 years ago. Copyright ©The McGraw-Hill Companies, Inc. No redistribution or reproduction without the permission of The McGraw-Hill Companies, Inc.
After sending your newsletter to a prospect for several months, call them. Ask them how they like the newsletter. Refer to a specific article about something you think would be important to them. Then ask if you can quote their business. Insurance Newsletters — especially PRINT newsletters — keep you top of mind. They’re sticky! When someone gets a print newsletter in the mail, they see your branding, if nothing else. But because it has physical dimensions (unlike email), the PRINT newsletter reader is more likely to skim or read through all of it, finding the articles that interest them. PRINT newsletters also get passed around, sometimes four or five times. It also helps that 5X more people see a PRINT newsletter than an email newsletter. A good open rate for email is 20%; almost everybody who gets a PRINT newsletter at least sees it. PRINT cuts through the digital clutter like a hot knife through butter. — Cindy Koebele, President, TitleSmart, Minneapolis, Minn.
Newsletters are part of an all-encompassing communications strategy. It takes multiple touches to stay top of mind throughout the year. Your communications strategy should also include birthday cards, special announcements, calendars, webinars, community events and phone calls before renewal time. Even though newsletters are often the most important part of that strategy. Use Newsletters to showcase clients. Feature clients and their businesses in your newsletter. Write an article about them. Then give them extra copies to send to their contact list. You both get publicity. You validate your client. You get in front of your client’s clients, who probably don’t know you yet and who may decide to contact you because they trust your client. Use Newsletters as standalone publications. Hand them out at seminars. Put them in proposals. Put them in your waiting room. Give them to people you meet. Take them to networking meetings, especially if a current topic is relevant. Send Newsletters to clients of other professionals..
Swap lists with accountants and other professionals in your networking and BNA groups. Ask these colleagues to write a short note introducing you and recommending your services to their client list and send them your newsletter. Do the same for them and their newsletter. Use Newsletters to celebrate your staff.. Feature them in your newsletter. Write about their hobbies, their professional accomplishments, their jobs and service to clients and community. As Scott Addis built his Philadelphia insurance agency from scratch to $40 million a year over the twenty-year period before it was sold to BB&T, he featured employees, new and old, in every edition of The Addis Company’s Managing Risk newsletter, published by Smarts. In #4 above, I mentioned Jay Abraham’s Strategy of Preeminence in connection with clients, but Preeminence applies to your relationship with your staff as well. Use newsletters to showcase your commitment to the community service. Feature a story about how people in your firm have volunteered or collected donations for a community cause. Practice social responsibility. This is very important to consumers these days. People want to know you’re doing things to support the community and that you’re giving back. Post the articles to your social media sites. Get as much visibility as you can. Smarts gives newsletter clients free access to articles in all back issues. Choose from hundreds of articles to post on Facebook and other social sites. Add a personal comment as an introduction and copy and paste the article. Use PRINT Newsletter distribution with other communications. Take advantage of your monthly distribution opportunity. Include a “free standing insert” with information about special products, seminar announcements or anything else. You should also include a reply card, as a reminder to readers that you want them to contact you. A reply card is published with each newsletter. It has check boxes next to the title of each article that appeared in the newsletter, which readers can check off and request more information about. Make Newsletters part of your branding. Include your corporate logo in the header of course. But use your corporate colors, too, for the pages of your PRINT newsletters. Give the newsletter a unique name. You might even want to incorporate the name of your agency in the newsletter title: “Your Benefits Updates from ABC Insurance,” for example. You can also personalize your PRINT newsletters with client names and addresses using variable printing. If an agency NEWSLETTER can help you improve CONVERSION and RETENTION by just a tiny fraction, wouldn’t it be worth a small investment of $1 per client per month or less? Request a FREE SAMPLE and order form now.